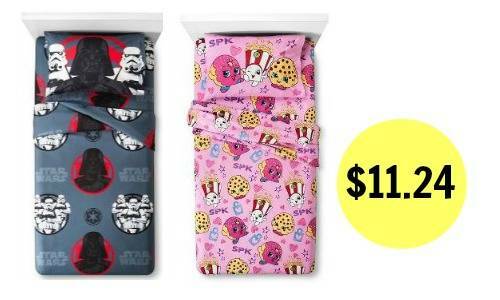 Head to Target to get a good deal on character flannel sheets sets or pillows for your kids! They’re offering a sale on them right now and you can combine that with a 50% off Cartwheel offer to get some pretty good deals! This sale includes favorite characters like Shopkins, Star Wars, and more. You can also save on character pillows! They’re on sale for $17.99, so get them for $8.99 after the Cartwheel. The Target website does have select character sheet sets on sale, but you can’t use the Cartwheel offer there, so head in-store to get the best deal. This deal is valid through 12/24.